Kanye West got angry after Jimmy Kimmel Live‘s recent parody of the lengthy, in-depth interview the rapper gave to BBC’s Radio One, in which he referred to himself as the “No. 1 rock star on the planet” and delved into various personal topics. “JIMMY KIMMEL, I DON’T TAKE IT AS A JOKE… YOU DON’T HAVE SCUM BAGS HOPPING OVER FENCES TRYING TO TAKE PICTURES OF YOUR DAUGHTER,” the rapper continued. The spoof that angered Kanye West featured a little boy reciting actual snippets of the artist’s interview while fiercely sipping a milk shake in between sound bites. Instead, Jimmy Kimmel appeared to fully enjoy reaping what he had sowed. 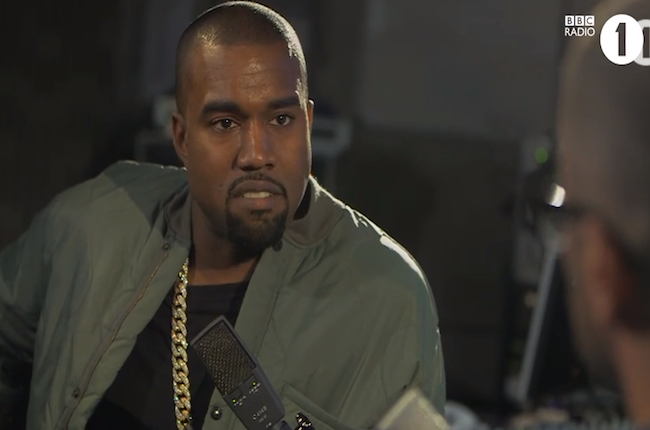 “apparently @KanyeWest is VERY VERY ANGRY with me….” Jimmy Kimmel tweeted when he first got wind of Kanye West’s rant. Then Kanye West started tweeting pictures, one of which Jimmy Kimmel duly retweeted. “I swear, @kanyewest one more of these I WILL unfollow you #warning #Goshdarnit,” Jimmy Kimmel wrote.